A silent war is raging—a currency war. Its main casualties are the most responsible citizens, those who have lived within their means, saved for retirement and avoided debt. Currency wars, on the surface, are far less spectacular than conventional wars fought with guns and bombs. Yet currency wars can be even more destructive, since they involve governments engaged in a “race to debase” through the unbridled issuance of debt. Governments have access to several policies that would allow them to counter the global debt that has accelerated exponentially over the past 42 years. Unfortunately most of these policies could lead to social unrest, financial panic or outright revolution; governments, therefore, prefer the more stealthy method of financial repression. “Financial repression” is a phrase many people may soon wish they had never heard. What is financial repression? Academics define it as a hidden form of wealth confiscation that allows governments to pay down their debts by forcing interest rates below the rate of inflation, while systematically confiscating the purchasing power of people’s savings over time through currency debasement. In a recent paper entitled “Liquidation of Government Debt” published by the IMF, authors Reinhart and Sbancia discuss how governments have used financial repression as a subtle way to reduce debt-to-GDP ratios. In reality, financial repression is a hidden form of taxation and a hidden method of transferring wealth from investors to the government. It is not as uncommon as one would think. Governments have used financial repression in the past, most notably after WW II. That war left Western industrialized nations with unsustainable levels of debt, and government debt-to-GDP ratios for advanced economies reached almost 100 percent. 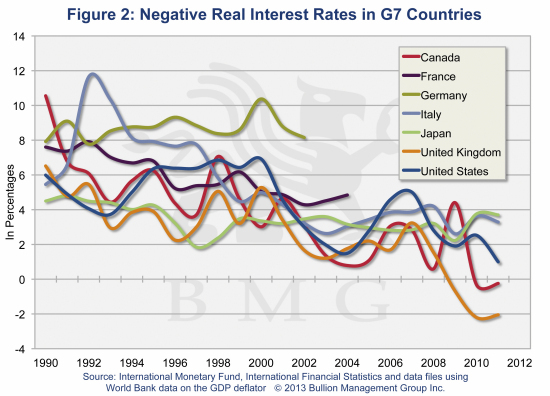 The 1950s and 1960s were characterized by prolonged periods of negative real interest rates. By the early 1970s, debt-to-GDP ratios had been reduced to about 25 percent, even as Western economies expanded both their debt and their GDP. Today, the government debt-to-GDP ratio for Western industrialized nations is once again approaching 100 percent. As of year-end 2011, the US had a debt-to-GDP ratio of 103 percent, the UK 85 percent, Canada 85 percent, Germany 80.5 percent, Italy 120 percent and Japan 212 percent. Cyprus, where the government and bankers have threatened an in-broad-daylight heist of investor funds, has a debt-to-GDP ratio of 87 percent. A growing economy with no significant growth in debt brings down the debt-to-GDP ratio naturally. However, Western economies are either not growing or growing very slowly. Meanwhile debt continues to be added. Western governments face a serious problem in attempting to lower high government debt-to-GDP ratios. Their economies have been experiencing low or negative GDP growth while at the same time their debt is growing, sometimes substantially. In the United States it took roughly $1.30 in new debt to create $1 of GDP in 1952. 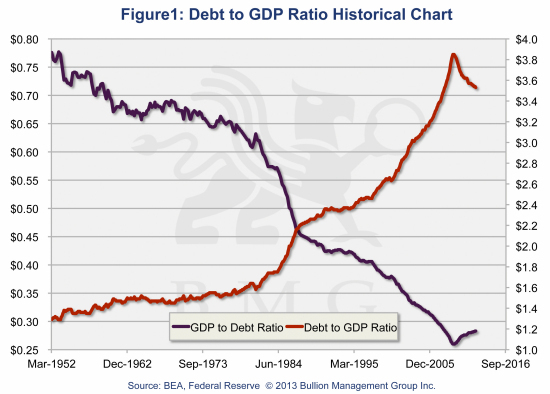 Today it takes over $3.50 in debt to generate a single dollar of additional GDP (see Figure1). If debt is growing faster than the economy, governments have limited options for lowering debt-to-GDP ratios. They can increase revenues by raising taxes; they can cut spending, including cuts to programs such as health care, social security and education; or they can introduce other austerity measures. The experience of European countries like Greece and Spain with austerity-driven approaches has produced Depression-era levels of unemployment, reduced revenues, higher deficits, regular displays of civil unrest and changes in government – all noted by other Western government leaders intent on keeping their jobs. Of course, they could always threaten outright confiscation of wealth through an arbitrary wealth tax such as that proposed for the people of Cyprus. To make things worse, Western economies have committed to long-term entitlement programs that could dwarf their current deficits. While current US debt is about $16.6 trillion, the present value of unfunded entitlements for Medicare and Social Security is $123 trillion, according to the US Debt Clock. This represents $1.087 million per taxpayer. Lower nominal interest rates in order to lower debt-servicing costs. Create negative real interest rates to erode the debt-to-GDP ratio (effectively a hidden tax on savers). Central bank interest rates in Western industrialized countries today range from 0 percent to 1 percent (US: up to 0.25 percent; Eurozone: 0.75 percent; Japan: 0 percent; UK: 0.5 percent; Canada: 1 percent). Most bank accounts in Canada do not attract interest rates much higher than 0.3 percent. Inflation rates, on the other hand, are higher. The latest year-over-year official inflation rates are: United States 1.7 percent; Eurozone 2.2 percent; Japan -0.2 percent; UK 2.7 percent; Canada 0.8 percent (see Figure 2). Unofficial inflation rates, such as those calculated by John Williams of Shadowstats.com, are much higher, at a more realistic level of 10 percent. The result is negative real interest rates, because the rate of inflation is higher than the rate of interest one receives from both government securities and financial institutions. Investors are in effect taxed on their interest income. A period of sustained low interest rates appears to be in place just as the baby boomers start retiring. Retirees typically seek safety and yield when investing. 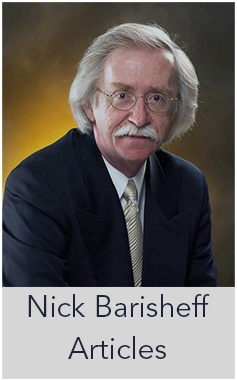 Safety comes in the form of government bonds, notes or Treasury bills, or in bank deposits. However, not all retirees are prepared for retirement. According to US statistics, some 25 percent of those in the 46- to 64-year-old age bracket have no retirement savings, and another 25 percent have little or no personal savings. Some 46 percent of all workers have savings of $10,000 or less, and 60 percent of all workers have savings or investments of $25,000 or less. Half of those who are 46 to 64 years of age say their financial situation has deteriorated in the past decade. Sixty-seven percent say they are behind on their savings for retirement. One in every six seniors lives in poverty. Many are retiring not only with high credit card debt, but also with mortgages. Twenty percent of all individual bankruptcies are filed by people 55 years of age and older, and the number of bankruptcies of those over the age of 65 is growing. In the United States, over 47 million people rely on food stamps. Outsourcing of jobs from the West to the East and the fact that people are living longer puts further pressure on governments to create more debt in order to fund social programs. People are perhaps more dependent on government handouts now than at any other time in history, and this makes the average retiree even more vulnerable to government policies that negatively impact their savings. Many pension funds are underfunded. In order to preserve cash, they are looking for ways to cut back on retirement benefits. In the United States, pension funds are unfunded or underfunded by $4.4 trillion. Public sector pension funds in Canada are estimated to be underfunded by at least $300 billion. Increasingly, the private sector has been shifting its employees from defined benefit pension funds to defined contribution pension funds. The difference between the two is substantial: the former sets the retirement benefit, whereas the latter is dependent upon the performance of the funds. Public sector workers are now facing the same dilemma, as debt-laden governments try to change how workers will be paid in retirement. With interest rates low and expected to remain low for an extended period of time, investors are increasingly seeking higher yields. Higher yields are available in a wide range of investment instruments, including income, royalty, business and investment trusts, dividend-paying common stocks, preferred shares, Real Estate Investment Trusts (REITS), bonds, notes and Treasury bills of federal, provincial or municipal governments, or corporate and convertible bonds. Investors seeking high yields who are willing to take on higher risk can invest in high-yield non-investment-grade bonds, speculative-grade bonds, junk bonds or mortgage-backed securities and second mortgages. Numerous exchange-traded funds (ETFs), closed-end funds and mutual funds have also been designed to provide income to investors. Some funds and ETFs invest globally. The products on the market all have varying degrees of risk. Government of Canada bonds, Treasury bills and bank deposits provide the safest investments, but returns are below the rate of inflation—a classic case of financial repression. The higher the yield on the investment, the higher the risk. Investors face market risk, foreign exchange risk, management risk, commodity risk, interest rate risk and distribution risk, plus more. Some ETFs and funds may employ high-risk derivatives. 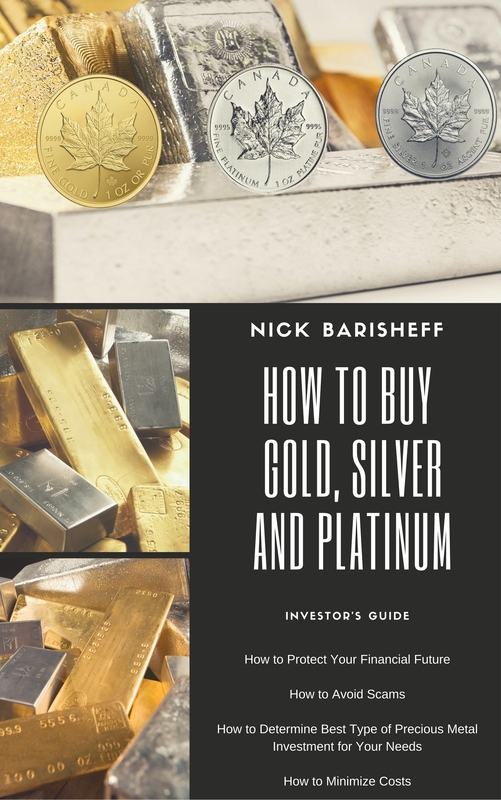 Most retirees are of the opinion that they need cash flow in the form of dividends or interest, and ignore gold because it doesn’t pay interest or dividends. However, what retirees really need is after-tax cash flow, together with preservation of their capital’s purchasing power. A ten-year bond that yields 3 percent is actually suffering the consequences of financial repression in two ways. First, the 3 percent yield is declining in purchasing power each year and will buy only 50 percent of goods and services at the real inflation rate of 10 percent in ten years. Second, on maturity, the bond will only be worth about 50 percent of its original value in terms of purchasing power. Any investment with an after-tax yield below the true rate of inflation is losing purchasing power every day in real terms. This will create serious problems in the future for retirees who are already having difficulty making ends meet. Instead of either dividends or interest, retirees should look to investments that have a high probability of capital gains in excess of the true inflation rate. For example, one of the most popular dividend-yielding stocks of a large multi-national company currently pays a dividend of 3 percent, and its share price has increased by 29 percent over the past ten years. Based on real inflation of 10 percent, this company stock would be worth 21 percent less in real terms than it was ten years ago. In contrast, another major high-tech company formed in 1976 paid no dividend until the fall of 2012, but its stock price has risen over 2,700 percent. Had an investor sold 3 percent of their capital gain each year, they would have had the same cash flow yet the capital would be up by 2,670 percent, and by 1,030 percent in real terms. Through a simple shift in attitude, investors can achieve the needed cash flow and preserve their purchasing power. Gold’s long history as money began in 564 BC when the Greeks created the first internationalgold currency. In August 1971 President Richard Nixon “closed the gold window,” effectively ending the Bretton Woods system and suspending the convertibility of the US dollar to gold. Thus began an experiment with a purely fiat system, an era when no currency in the world is backed by gold. Yet gold maintains its purchasing power. 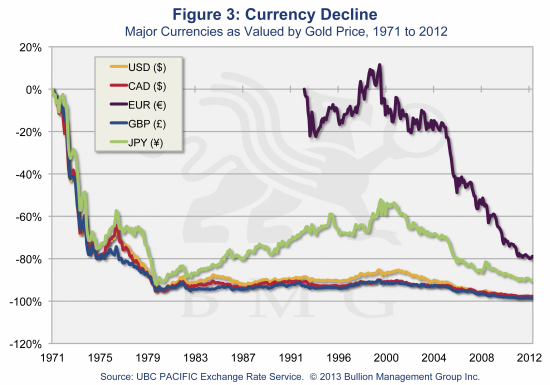 Since the closing of the goldwindow, the purchasing power of the US and Canadian dollars has declined over 96 percent in relation to the purchasing power of gold (Figure 3). In August 1971, $1,000 purchased 28.5 ounces of gold. Today $1,000 purchases only 0.60 ounces of gold. 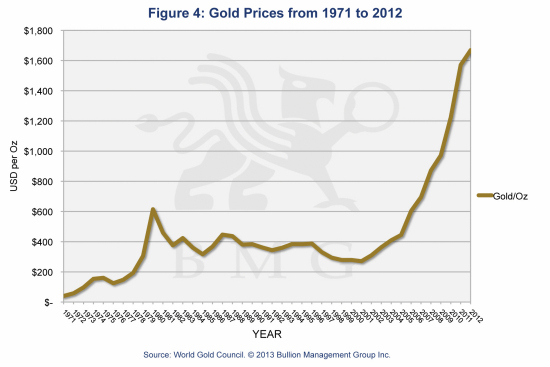 In the 42 years since Nixon closed the gold window, gold has gone up over 4,500 percent (Figure 4). Since 1975 when it began trading on futures markets, gold has risen on average 8.5 percent annually. Since gold bottomed in 2001 at USD $255, it has risen 560 percent, or 16.8 percent annually. While there are no guarantees, an understanding of the major trends as set out in my upcoming book $10,000 Gold, to be published by John Wiley and Sons this May, sets out why past perf-ormance will not only be repeated, but likely exceeded. While gold doesn’t pay dividends or interest, the capital appreciation over the past five years has far exceeded any fixed income security or dividend-paying stock, as well as real inflation. Investors who need current cash flow can simply liquidate part of their capital gain. BMG Gold Advantage Return BullionFund (Advantage Fund) was designed to provide investors with an alternative to traditional equity and bond investments. Its objective is to provide a secure, convenient, medium-risk alternative for investors seeking to reduce risk and indirectly hold gold bullion while receiving a monthly cash distribution equal to $0.07 per unit per month. This represents a superior cash distribution (8.4 percent annually as calculated on the opening Net Asset Value of $10.00 per unit) compared to most bonds and equity dividends. The purpose of Advantage Fund is to provide investors with above-average cash flow through a convenient mechanism whereby part of their capital gains may be liquidated, while at the same time preserving the purchasing power of their remaining capital. 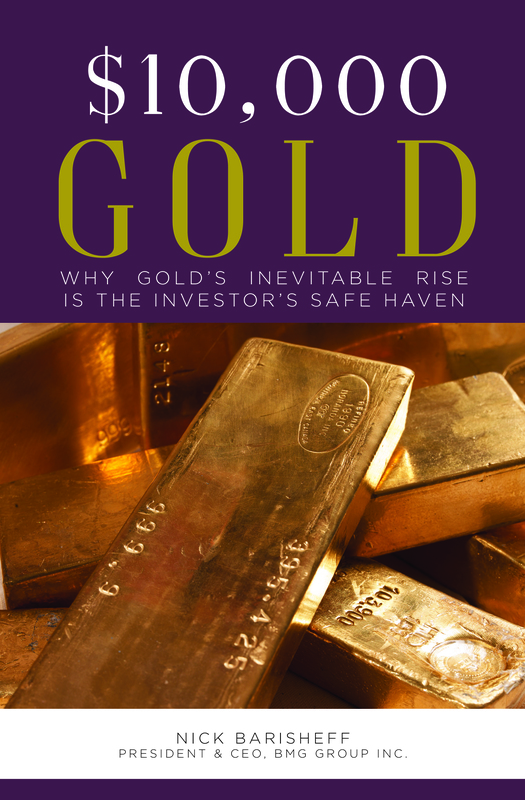 Given the clear historical increase in the value of gold over the past 42 years, and assuming that this trend continues at a rate that at a minimum exceeds the 8.4 percent distribution rate of AdvantageFund, investors potentially could enjoy both a steady tax-advantaged return, and a potential for capital appreciation. Advantage Fund invests only in physical bullion through Class I units of BMG GoldBullionFund (the Underlying Fund). It does not employ derivatives or invest in the securities or certificates of gold mining companies, pooled accounts, closed-end funds, ETFs or other bullion proxies. Advantage Fund does not invest in foreign securities. It has a fixed investment policy and, as a result, has no exposure to management risk. Advantage Fund acts as a hedge against the volatility of other investments in a portfolio. All of the physical bullion held by the Underlying Fund is stored in the custodian’s secure storage facilities on an allocated, insured basis. Advantage Fund is subject to market risk because of the fluctuating price of gold bullion, as well as foreign exchange risk because gold is priced in US dollars and Advantage Fund is denominated in Canadian dollars. BMG Funds Simplified Prospectus provides a more detailed summary. In Canada, no sales or withholding tax is applicable on bullion. Advantage Fund allocates capital gains or other net income only to redeeming unitholders. Unlike most mutual funds, unitholders of Advantage Fund who do not redeem their units will not be negatively affected by redemptions by other unitholders. Advantage Fund will make monthly cash distributions equal to $0.07 per unit per month. These will primarily be classified as a return of capital for tax purposes. However, the amount of distributions that will be comprised of return of capital or capital gains or ordinary income will not be known with certainty until after year-end. The unitholder will be required to pay tax on any capital gains; however, return of capital distributions do not attract any current tax but will reduce the cost base and will result in capital gains or losses when the units are sold. Financial repression is likely to be in place for several decades, because the leaders of hopelessly indebted nations see it as the only politically palatable way out. Unfortunately, this fiscal policy creates losses with traditional fixed income investments or dividend-paying stocks when it comes to purchasing power and real returns over time. Advantage Fund, which offers the stability of gold, coupled with steady cash flow, is a more attractive, viable option who time has come.